Let Sn [f] be the n — th partial sum of the expansion of f in a series of orthogonal polynomials. 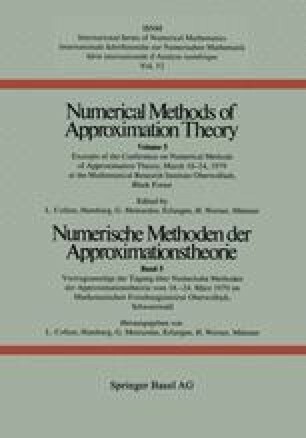 Several methods for the estimation of ∥f — Sn [f]∥ (sup norm) are discussed. The most important special result reads as follows: In the case of Chebyshev polynomials we have ∥f — Sn [f]∥ ≤ 2-n (n+1)!-1 ∥f(n+1)∥.